Whether or not you’re a creative, you’ve doubted yourself at some point in your life. 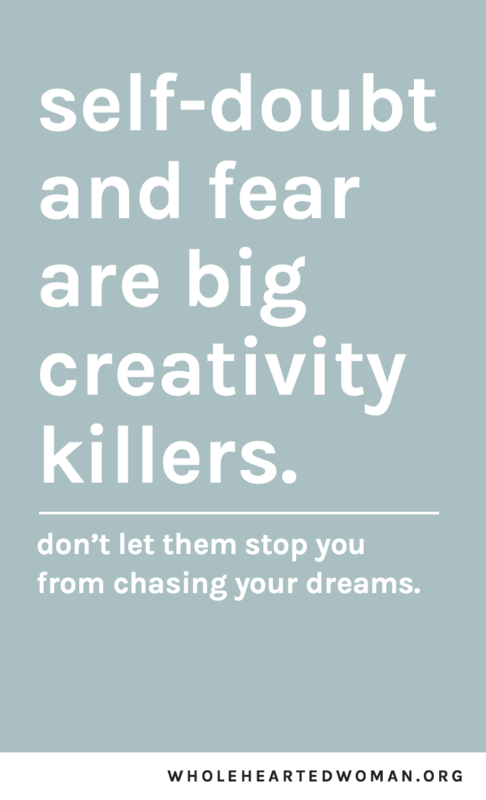 Needless to say, self-doubt and fear are big creativity killers. When I was in high school, I wanted to be a photographer. With creative pursuits, there really is no right or wrong way to do things. It’s not a one-size-fits all, which is why it can be so scary. Because it involves you really putting yourself out there and believing in yourself so much to the point where other people’s opinions and judgments don’t even sway you. The problem is that as creatives, we often tie our identity and self-worth to our work. And so often, even the thought of someone not liking your work can steer you away from putting yourself out there. 1. Put yourself and your own happiness first. Does people pleasing feel fulfilling to you? Probably not. So why do we spend so much of our time and energy trying to make everyone else happy? The truth is whether you pursue your creativity or not, people are making judgments about you. It’s not like you’re protected from other people’s judgment and negativity if you don’t pursue your dreams, so… might as well do it, right? 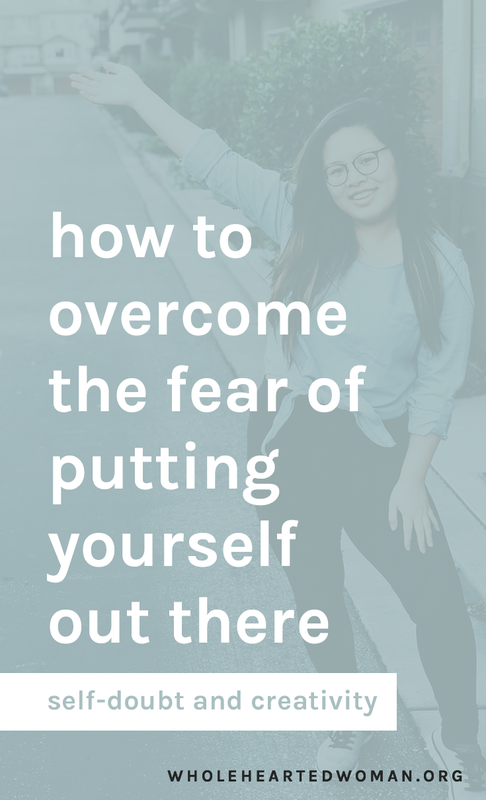 When I started this blog, I was soooo scared of putting myself out there. Because writing is a form of self-expression and creativity as well. You can’t have a successful blog by not putting yourself out there. Just like you can’t build and grow a successful brand by hiding yourself. 2. Remember that those who judge you are probably not pursuing their own passion. I’m not a fan of saying “other people are jealous”, but maybe they are reflecting their own insecurities and self-doubt onto you. Because I can tell you right now that self-expression whether it’s through art, entrepreneurship, writing, speaking, etc. is not easy. And anyone who has done it themselves would be more likely to support and cheer you on rather than trying to tear you down. Don’t let other people’s fears and doubts become your fears and doubts. When you create from a fear of fear and doubt, you are not using your full potential and creativity. You’re still thinking “what will other people think” in the back of your mind. You need people in your life who will encourage you and also call you out when you’re going backwards. People with the same mindset who are also working on their own journey. It’s important to let go of people who will doubt you and make you doubt yourself every step of the way, because chances are, you are already dealing with your own self-doubt. Doubt mixed in with more doubt doesn’t make the doubt go away. It makes the doubt even stronger, and you don’t need that. If there are people in your life who are doubting you, you need to set your boundaries. Let them know that you hear and understand where they’re coming from, but them questioning you doesn’t help or serve you. 4. Find role models who have gone before you (to stay sane). You may be on a path less taken, but you are not on a path never taken. Someone has gone on this path before and it’s helpful to find a few examples you can keep in mind whenever you’re doubting yourself. My role models? Glennon Doyle Melton, Elizabeth Gilbert, Gary Vee, Caroline (from MadeVibrant), etc. Why are they my role models? Because each and every one of them has said something that resonated with me, but more importantly, all of them have addressed that the journey you’re on is not an overnight journey. They aren’t selling me an overnight dream, which I know is not realistic anyway. It is a long and often slow process. Learn from them. See what they did to get to where they are today - and how long it actually took them. but there’s a reason why you’re here reading this article. Because there’s a desire in you to express yourself and you’re scared… scared of what other people will say and think, scared that you’re not good enough, scared that you’re behind, scared of the unknown, and the list can go on and on. The answers to our questions are often simple, but they are not easy. They are sometimes annoying, tedious, and require a lot of commitment and consistency. Be honest with yourself: What matters more? Short-term discomfort with long-term reward (living out your fullest potential), or long-term “comfort” with short-term reward (i.e. living in your comfort zone)? The dream is there if you want it, but it’s one you have to work at. Every day. For the rest of your life (no pressure). Are you ready to overcome your self-doubt and put yourself out there? Hi there! I'm Molly, the founder of Wholehearted Woman. I help women show up online in a way that looks good and feels good too. Be the voice you needed to hear when you were younger and share your story. Don't be afraid to be vulnerable, because it could change someone's life.